Consult your local dispensary or health clinic. Referral to the orthopaedic department of a Hospital. With a Hospital recommendation you can apply for a wheelchair at the Regional Social Welfare Office. Social Welfare will assess the financial situation of the applicants and decide to what extent they are eligible for subsidy. 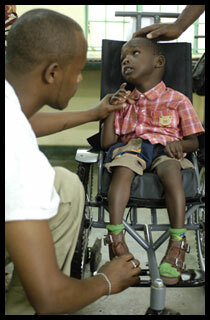 However, in many cases Social Welfare have limited or no means to purchase a wheelchair. As an alternative, people can send their applications directly to MobilityCare. 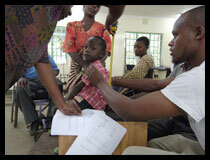 Valid applications may be referred to one of several funding agencies that have close ties with MobilityCare. For more details, please contact us. The family of the applicant should contribute to the costs of purchase if possible. The home situation should be looked at before purchase. Simple things like a narrow front door can prevent a wheelchair from entering the home. After delivery the home situation should be assessed again to check if the wheelchair serves its purpose.